This post will focus on how to get started with AutoSPInstaller. Along the way, I’ll write some tips that I’ve learned and hope to give readers some more details on how to most effectively use AutoSPInstaller. Tobias Lekman (@tobiaslekman) also has a step-by-step guide on his blog here. You have at least one SQL Server (or cluster) up and running that will be used for the SharePoint databases. You have a Windows Server 2008 R2 server up and running. The server is joined to your domain, has network connectivity and the firewall is turned off. No pre-requisites, server roles, or features are installed yet. You have access to a file share (could be a local drive) where we’ll stage the software. You have (at least) SharePoint 2010 Foundation. In this example, I’m going to use Enterprise edition and additional software such as Office Web Apps. These are not required though. I’m going to install SharePoint using AutoSPInstaller and my locale is en-US (United States). My SQL Server name is SQL2008R2 and I have a default instance installed (MSSQLSERVER). My SharePoint server is called SHARECLOUD and I have set the PowerShell policy to Unrestricted (Set-ExecutionPolicy Unrestricted). My install account is svc.spsetup; always use a common install account. This account is a local administrator on my SharePoint server(s). My file share is mapped to the Z: drive, svc.spsetup (my install account) has Full Control. The first step is to prepare the file share. I’m going to start with AutoSPInstaller. Download a copy from http://autospinstaller.codeplex.com and extract the files to your file share. Once extracted, AutoSPInstaller gives you the proper folder structure. You have to stick to this because the scripts use relatives paths (for example: ../../xyz.exe) in many places. Tip: If you have an ISO, consider using 7-zip to extract its contents. I do this to prevent pop-ups regarding untrusted locations. Without this, your install can’t really be unattended because you’ll have to click Continue (or Cancel) when the warning for Open File Security shows up. This happens when you copy files from the internet (as we’re doing with the AutoSPInstaller scripts) or from file shares, even a DVD (as with the SharePoint bits). Browse to User Configuration â€“> Administrative Templates â€“> Windows Components â€“> Attachment Manager â€“> Inclusion list for low file types. Add .exe;.ps1;.bat to the list, as shown. Since I may be installing a large farm, I don’t want to keep downloading the prerequisites each time. I want to keep a copy of the files and use the offline installation method (faster). I’m going to go back to http://autospinstaller.codeplex.com and click on the Downloads tab. On the right-hand side, under "Other Downloads" there’s a script to download all the prerequisites. Download and save that somewhere. I choose to put it in the SP2010\SharePoint folder. Now run the PowerShell script. It will ask for a folder, I’ve specified current folder in my screenshot. The script will use the existing PrerequisiteInstallerFiles folder or create one if there isn’t any in the folder you specify. This is how it looks while its running. When its done, you’ll see all the files downloaded to the folder you specified. They should be in the SP2010\SharePoint\PrerequisiteInstallerFiles folder. Your media may already have SharePoint 2010 Service Pack 1, mine doesn’t so I’m going to slipstream it. I’ll also slipstream the latest cumulative update (CU) that I’ve tested. Find out more information on SharePoint 2010 at the Update Resource Center. "After you install SharePoint Foundation 2010 SP1 or SharePoint Server 2010 SP1, you must also install the corresponding June 2011 Cumulative Update refresh package." I’m going to go with the August 2011 CU. This also means that I don’t need two packages (one for SharePoint Foundation and one of SharePoint Server). Prior cumulative updates required both packages. So, the August CU is available here, lets download that to the desktop as well. I want to be able to search and index PDF files so I’ll need the Adobe PDF iFilter. AutoSPInstaller can set this up for me. I just need to do a couple things to prepare. First download the iFilter zip from here and place it in the SP2010\PDF folder. UPDATE: Brian informed me that the PDF function in AutoSPInstaller will do all of this for you. So, if you want the PDF stuff, just enable it in the configuration. There are no preparatory steps needed. If you’d like to install Office Web Apps, download and extract the installation to the SP2010\OfficeWebApps folder. 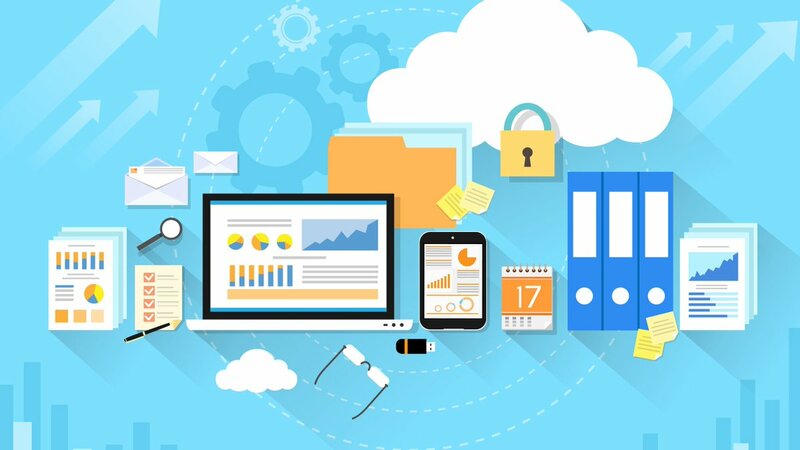 Office Web Apps is generally available to enterprise customers, you can’t just go online somewhere and download it, so if you’re interested talk to your Microsoft licensing representative. 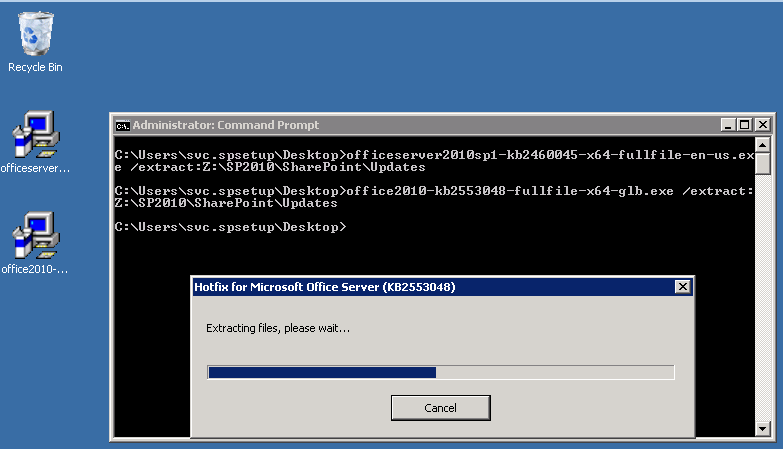 Here, I’ve downloaded the Office Web Apps installer to my desktop and am extracting it to the SP2010\OfficeWebApps folder. Since I’m installing Service Pack 1 for SharePoint, I need SP1 for Office Web Apps too. I downloaded it from this site, and extract it to the “Updates” folder under SP2010\OfficeWebApps. I saved this for last because it can be complex and there are a couple ways to do this. However, I’m going to show you my preference. I like this method because it ensures that Service Pack 1 for my language packs also get installed properly. For my example, I’m going to use French and Spanish language packs. To make things easier, I’m going to use another CodePlex project. 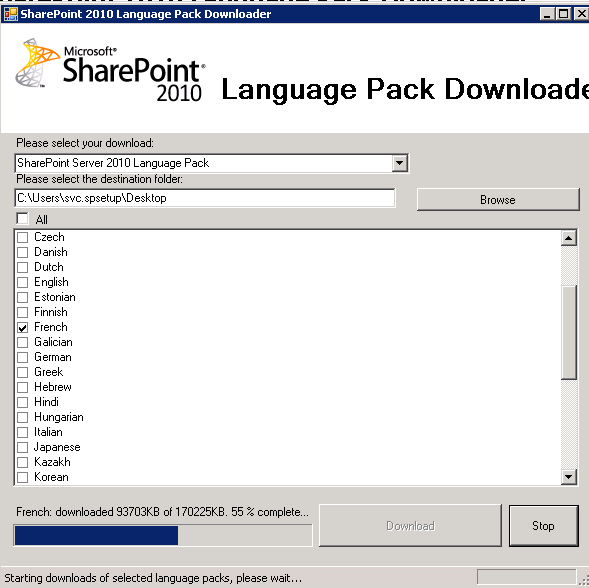 The SharePoint 2010 Language Pack Downloader here. I simply select my languages and the folder. I’ll download the original language packs for each language I want and then download the service pack for each of those. Next, I need to extract them to a subfolder that I’ll create. The subfolder will be named for the "Culture Short Code" of the language. For a list of culture short codes see this MSDN article. Finally, I need to extract the service pack for each language into the "Updates" folder for that language pack. For now, we’ve accomplished our goal of preparing our file share. From here, we have everything ready to install a single server or 10 servers, in the same farm or multiple farms. Our SP2010 folder is now over 4 GB. In the next post in the series, we’ll continue by configuring several files that will help automate our SharePoint deployment. I do respond there and so do others, so your chances of getting an answer, more quickly are greater.